​​The Cedar Springs Waldorf School College of Teachers agree to work out of Anthroposophy (the philosophical ideals set forth by the founder of Waldorf education, Rudolf Steiner), to cherish and protect the childhood of our students, to acknowledge the spiritual life of the human being, to involve parents in their child’s education and to strive for open communication. We work out of Anthroposophy through the study of Steiner’s work, our attendance of anthroposophical conferences and the pursuit of meditative practices. We cherish and protect the childhood of our students by meeting the children developmentally as set forth by the Waldorf curriculum, advocating and supporting a rhythmical and media-free home life and providing parent education. We acknowledge the spiritual life of the human being by providing opportunities for reverence, celebrating seasonal festivals and holidays, and by nurturing the inner life of each child through the Waldorf curriculum. We work to ensure that the Waldorf curriculum and pedagogy is delivered to the students by reviewing, mentoring and evaluating our teachers, staff and school policies and procedures. We require mentoring, collegial and professional evaluation as well as self-evaluations of our teaching staff. Faculty members also participate in on-going continuing education workshops, classes and study groups. We involve parents in their child’s education by asking parents to participate as Board and committee members, class volunteers, work party members and fundraisers, and by attending annual parent-teacher conferences. 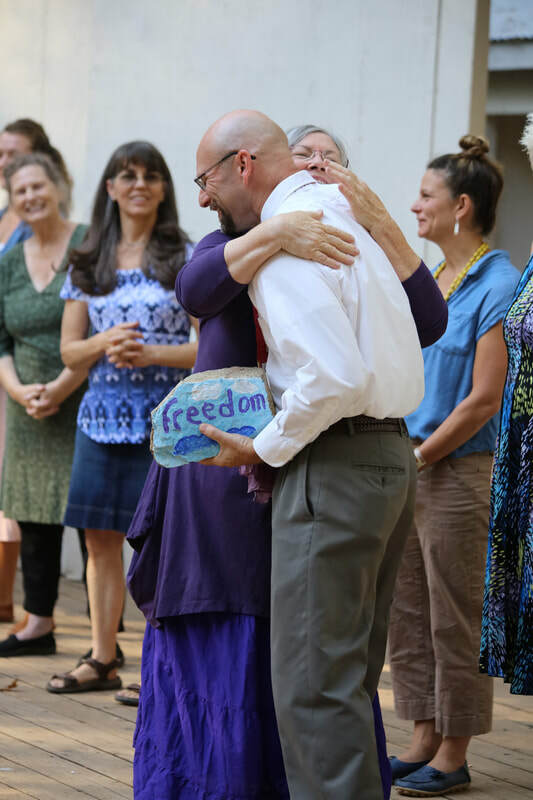 We strive for open communication by providing a communication model for all faculty, staff and parents to follow, using facilitators for communication for each faculty member; making available all approved Faculty, College and Board minutes; providing parent evenings; written updates; All-Community meetings and conferences for parents to learn more about Waldorf education and the school.